Brian Harold Mason was born in Port Chalmers, Dunedin, in 1917 and was brought up in Christchurch. He studied geology and chemistry at Canterbury University College. After gaining an MSc with double first-class honours, he was awarded a postgraduate scholarship in 1939 for a PhD in geochemistry, completed at the University of Stockholm (Sweden) in 1943. His first textbook, Principles of geochemistry (1952), was based on courses he developed in what was then a little-known field. On taking up an appointment at the American Museum of Natural History in 1953, Mason’s first task was to check and re-catalogue the large meteorite collection, kindling a long-term interest. Finding the method of classification difficult and time consuming using existing procedures, he developed a new system based on determining the composition of olivine (a rock-forming mineral). 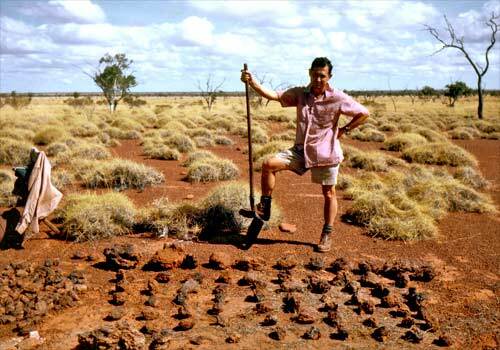 His book Meteorites (1962) was the standard work in the field for many years. From 1965 he was curator of meteorites at the Smithsonian Institution, Washington DC. Interest in space research in the early 1960s led to an upsurge in requests for meteorite samples. Brian Mason and his colleague Ed Henderson initiated a meteorite-collection programme based in the Australian outback, which has favourable conditions for preserving and discovering meteorites. Many specimens were found over the next decade. A similar programme was later started in Antarctica, where there have been annual collecting expeditions since the 1980s. Brian Mason volunteered to provide the preliminary description of collected specimens. By 2001 he had examined over 7,000 meteorites – there was probably no one else who had seen so many. Two minerals have been named after Brian Mason. Brianite is a phosphate mineral, first described from the Dayton meteorite. Stenhuggarite (from the Swedish ‘stenhuggar’ – ‘mason’) is a rare iron-antimony mineral found in iron ore. In 1999 Joel and Christine Schiff of Auckland discovered a new asteroid between Mars and Jupiter which they named 12926Brianmason. Brian Mason published a number of scientific papers on aspects of New Zealand mineralogy and geochemistry. The Brian Mason Research Facility is part of the University of Canterbury field station in Westport. His autobiography From mountains to meteorites was published by the Geological Society of New Zealand in 2001. In the photograph, Brian Mason surveys the fruits of several days' collecting near the Wolf Creek crater in northern Australia. Brian Mason died at his home in Maryland in December 2009. Hi Rickey, thanks for your query. That's a bit outside of our expertise, but you could try this website, which contains information about properties of meteorites: <a href="http://meteorites.pdx.edu/meteoriteid.htm">http://meteorites.pdx.edu/meteoriteid.htm</a>. I hope it helps you.